I was 8 months pregnant with our first baby boy when we moved into our new home. We had spent tons of nerves, time and money to totally rebuild our flat, and we often questioned ourselves if one day it will be ready and reality. At the end of our moving day we hugged each other with a big feeling of relief. In this very unusual yet very romantic moment, in the midst of chaos and boxes, Gui asked me to marry him. 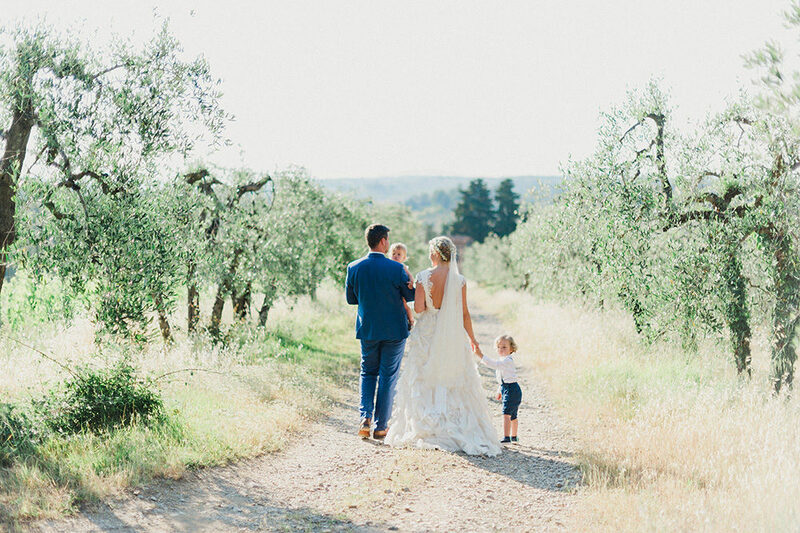 We wanted to get married in Italy since Gui has Italian roots, I don´t trust the German weather, and we both love Italian food and wine and – Italy! 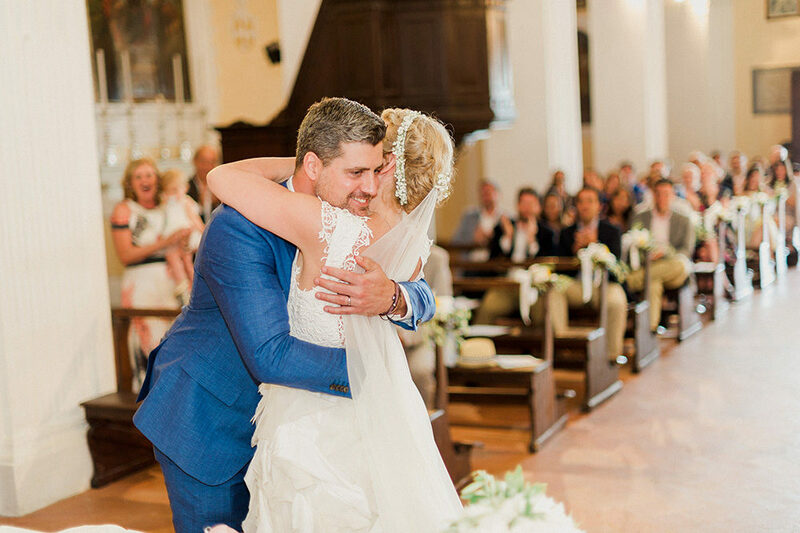 We had to postpone our first wedding date set one year earlier, because I became pregnant with our second baby with due date 10 days before the planned wedding date. 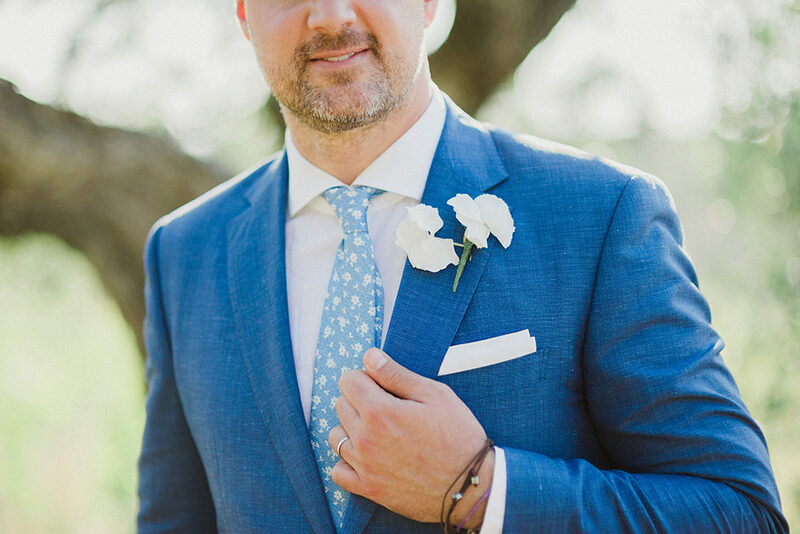 So the expectations and anxiousness was even higher for our wedding celebration, and Pinterest became my best friend for ideas and inspirations. In our dreams we pictured all our guests from Brazil, Germany and other countries seated on one long table in the cozy atmosphere of simple string lights above, eating the most delicious pasta and drinking lots of wine. 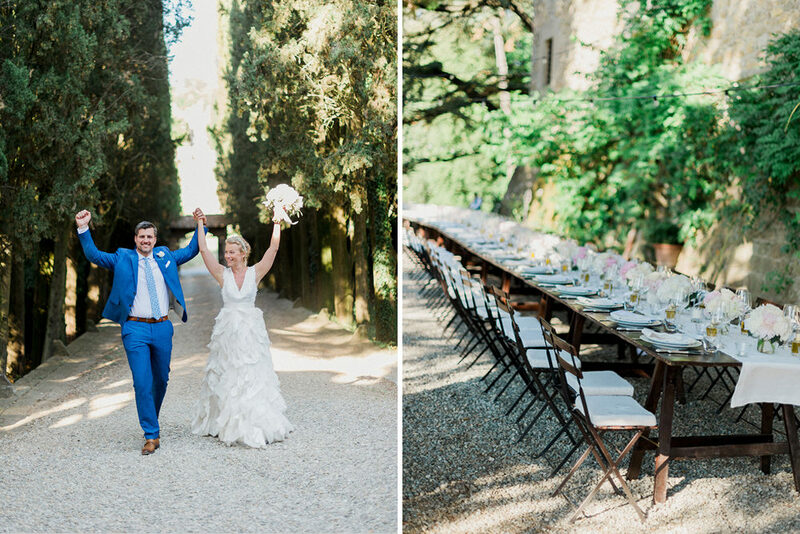 Rossana from the knot in Italy showed us a lot of breathtaking venues, but at Castello il Palagio we knew right away this was the right location. 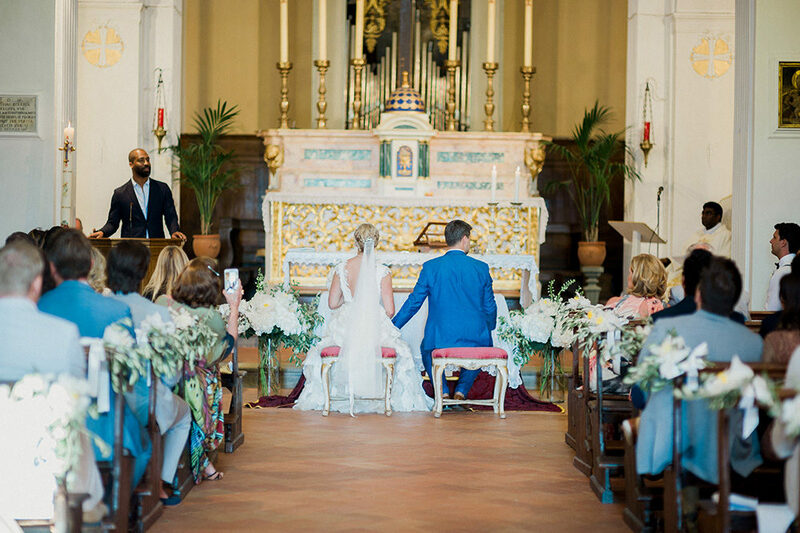 After our romantic ceremony at the church our guests were guided the short way to the Castello by an amazing folk trio playing classic Italian hits, and making friends and family sing along. We had prepared hats as gifts for the gentlemen, and it made the crowd look really Italiano! Arriving at Castello il Palagio everyone was blown away by the atmosphere of the old castle and the long dinner table set up in front of an ancient wall, from where we could even enjoy the sunset. 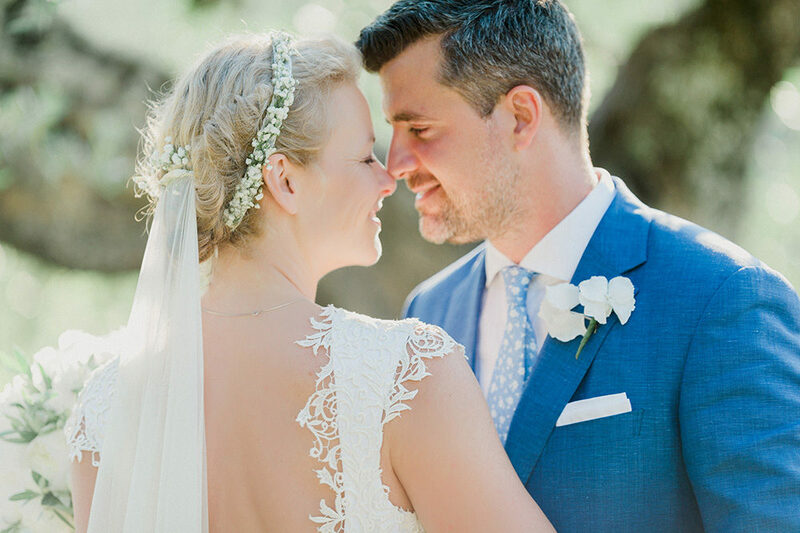 Underneath a group of trees that was charmingly lit by different hanging lanterns and candle holders which I found over the months of preparation, the waiters prepared in front of the guests the most delicious wedding cake we´ve ever tasted. At this romantic place we as well kicked of the party with our waltz that was also the motto for our wedding celebration: „that´s Amore“ by Dean Martin. 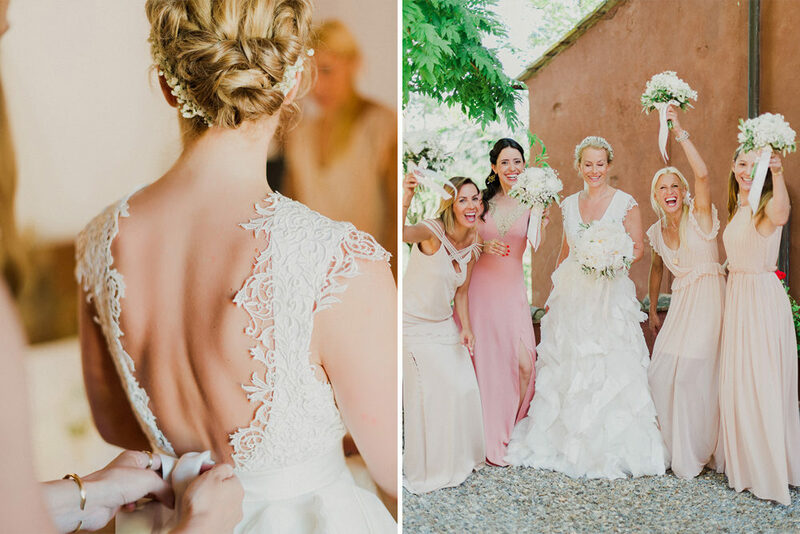 It was really the wedding we dreamed of since a long time! Reading together the funny, touching and beautiful comments in our Mad Libs guest book that we texted and binded ourselves will be an everlasting memory of that. 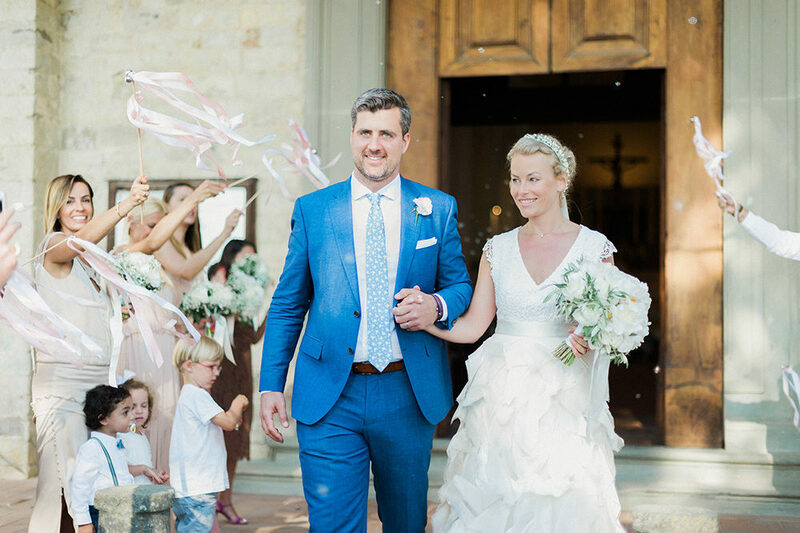 Why do weddings in Italy look so utterly fabulous? 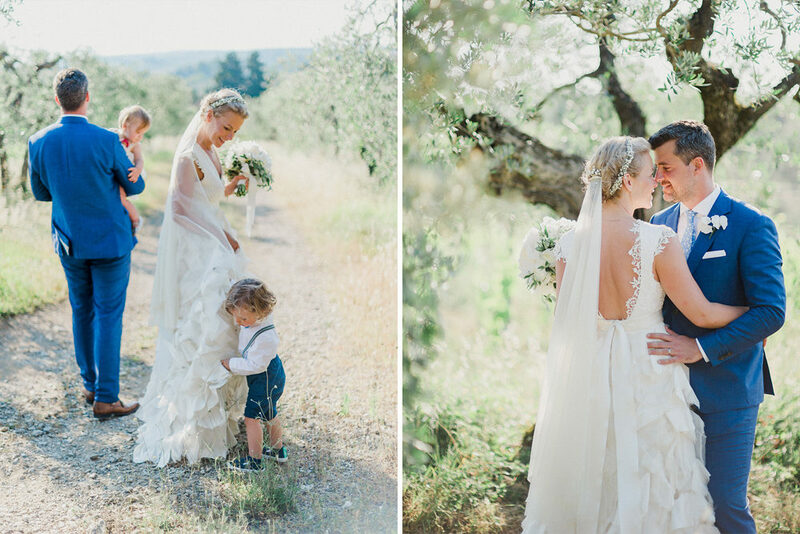 Such beautiful wedding photography to show off the day – looks like many were film captures too. 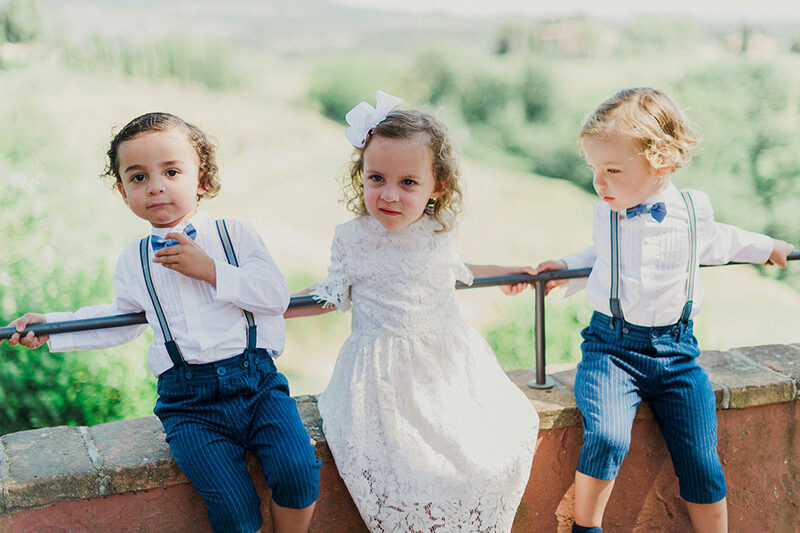 Gorgeous dress, couple & children! Many congratulations, C & G !